Gov. Matt Mead and BLM director Neil Kornze last week touted a Lander-area federal land plan they said would save greater sage grouse, allow energy development and be copied across the West. 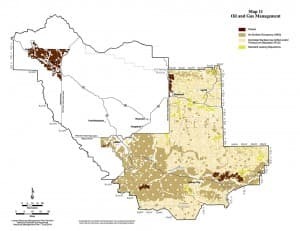 The Lander Resource Management Plan would allow oil and gas leasing across much of 2.4 million federal acres but would restrict resulting development. To protect sagebrush landscape critical to imperiled sage grouse, energy companies would be required to use horizontal drilling to avoid surface disturbance in some areas. Mead said Thursday the plan should show the federal government that the sage grouse does not need to be protected by the Endangered Species Act. Protection could drag down the state’s mineral and agricultural industries. “The issue for us is … what do you do on the ground to make sure the bird is not listed,” Mead said as BLM officials signed the plan. The U.S. Fish and Wildlife Service will decide by September 2015 whether to put the species on a protected list. 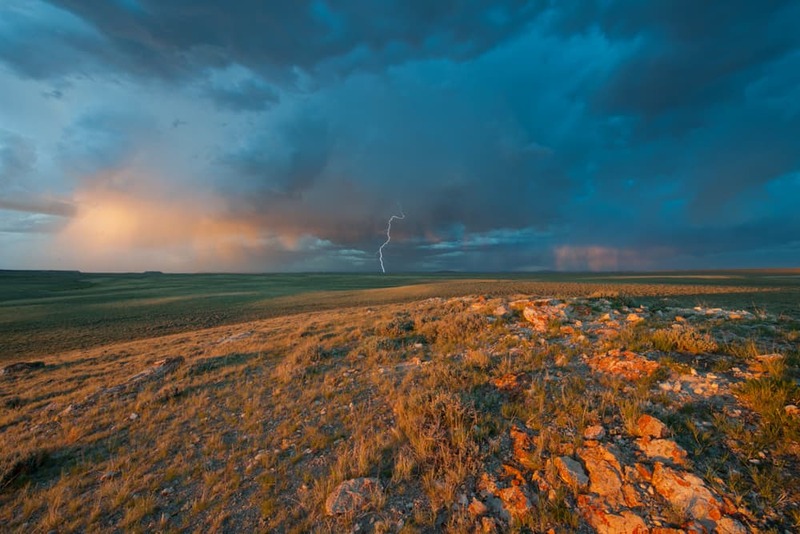 BLM Director Neil Kornze touted Wyoming’s core-area program, which seeks to shift development away from swaths of sagebrush habitat that cover millions of acres. The Lander Resource Management Plan will guide activities on federal BLM land east of the Wind River Range, protecting the historic Oregon Trail over South Pass and prohibiting energy leasing in sensitive wildlife range near Dubois. 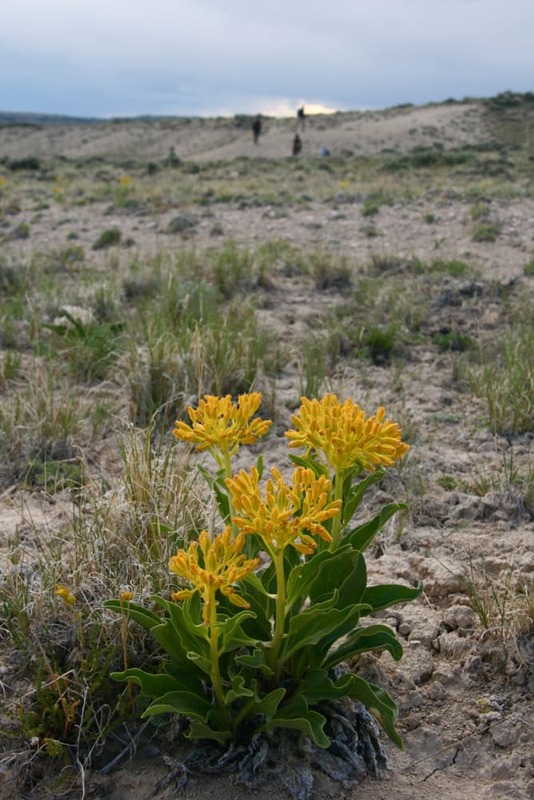 It also prevents mining on prized wildlife and recreation foothills of the Wind River Range. Ultimately, greater sage grouse had most to gain or lose. The Center for Biological Diversity, a nonprofit conservation group, said the bird would lose. The 0.6 mile buffer for leks is scientifically indefensible, she said. Studies show effects from drilling extend 4 miles or more. 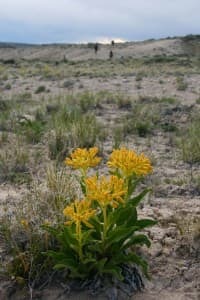 The BLM could have done more, members of the Theodore Roosevelt Conservation Partnership said. Seven years in the making, the plan recognizes those who live in the area, Fremont County Commission Chairman Douglas Thompson said at the signing of the BLM “record of decision” in Cheyenne on Thursday. It will “conserve the grouse with concern for the people who make a living off the land,” he said. That element of compromise, among other factors, led the Lander-based Wyoming Outdoor Council to support the alternative that the BLM chose. “If the federal planning process did not include a heavy component of local communities, we have bad plans,” said Julia Stuble, the group’s land conservation coordinator. Industrial development will occur where appropriate, will not happen where inappropriate, she said. 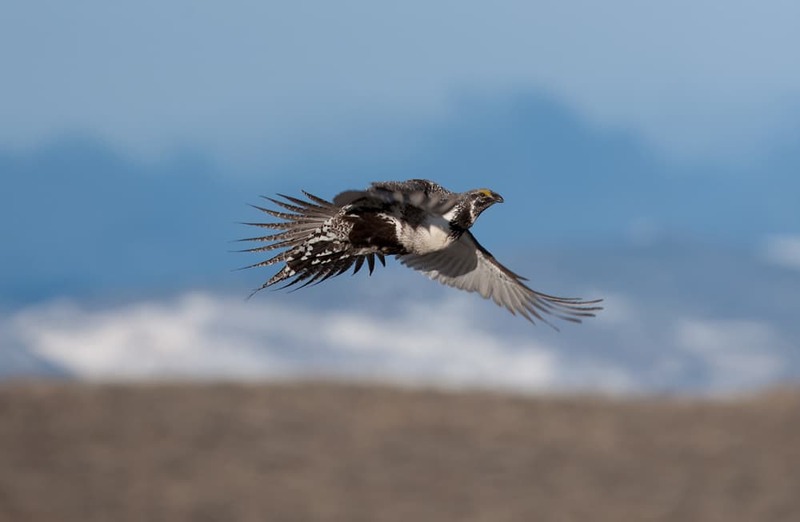 The BLM considered several options, including a version that would have offered even more protection to the grouse and limited development further. BLM land is supposed to be managed for a variety of uses, Stuble said. Competing interests can make compromise tough, officials said at the signing ceremony. “Multiple use is not for sissies,” BLM state director Don Simpson said. Whether the plan, and others coming across the West, will satisfy Fish and Wildlife as it decides the status of the sage grouse is uncertain. Spivak, of Biological Diversity, underscored some reasons. “The first thing you need to do is make sure where the birds are nesting, doing their mating and dancing,” she said. “You absolutely need no disturbance in that area,” and the plan fails on that count. Winter habitat may not be well defined and protected either, she said. One study of grouse in the Upper Green River Basin tracked some moving in winter beyond core areas to a gas field. New winter habits are still being discovered. Two skiers skate at Beaver Creek, located on the Lander Front of the Wind River Range and part of the planning area. The BLM plan seeks to accommodate a variety of interests. (photo by Scott Kane ). In January of 2013, for example, BLM employee Dale Woolwine was marking fences to prevent grouse collisions near Big Sandy when he found a flock of grouse trampling snow and pecking at the dirt. Since then he and others have found at least 15 such sites, some holding up to 80 birds. The purpose of the “geophagia” hasn’t been definitively determined. Winter study of grouse habits is an ongoing task statewide, being undertaken by various regional working groups. 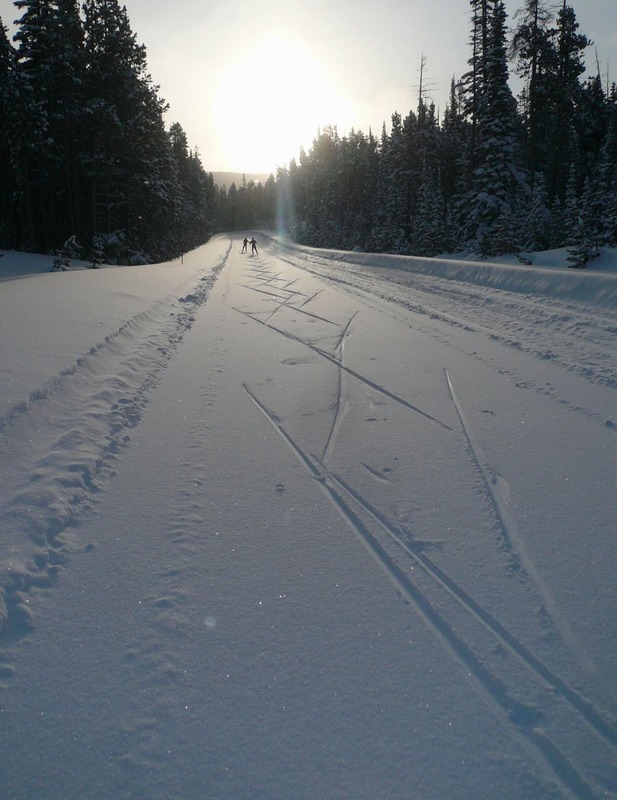 The BLM’s Lander plan would protect winter concentration areas in core areas, it says. Spivak finds uncertainty about winter habits troubling. Arnett, with the Teddy Roosevelt group, agreed. The Lander area is in the heart of 73 million acres of sagebrush habitat across the West the federal government considers “priority areas for conservation.” It encompasses 3 percent of the nationwide range but 6 percent of the greater sage grouse population — perhaps some 30,000 birds. Numbers have not followed a steady course. The plan would restrict motoring in sagebrush country to existing roads and, in some places, not all of them. 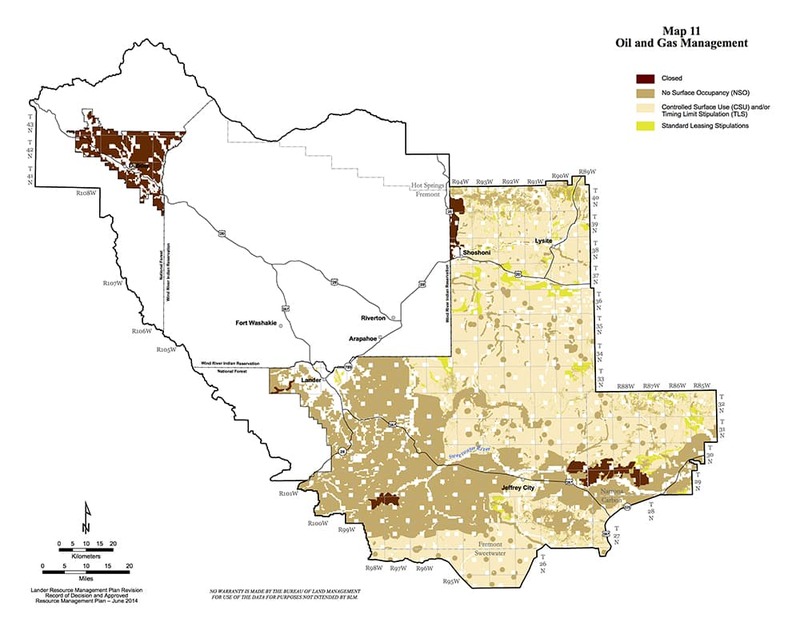 It would require a master leasing plan for the Beaver Rim area that seeks to limit drilling impact. The master leasing plan concept grows from former Secretary Ken Salazar’s direction in 2010 that agencies look at potential consequences of energy development before letting oil and gas companies bid for development rights. It would not allow disruption on 800,000 acres of priority habitat, even if minerals below were leased. Disturbance on other priority habitat would be generally limited to 5 percent with only one mine or drill pad per square mile. Rules would say when activity could occur. Many other limits will be adopted, including prohibiting landfills – where predating ravens could congregate – near leks. Efforts to improve the grouse’s lot extend back years. In 2004 and 2005, people collected more than 14,500 used tires in Fremont County to reduce the threat of mosquitos breeding and spreading West Nile Virus to grouse, state grouse documents say. On the adjacent Wind River Indian Reservation, tribal members used to kill male sage grouse “for cultural purposes” in the spring, the regional conservation plan says. That ended in 2010. Hunting continues around Lander in the fall. In 2012, 533 hunters killed 1,217 grouse in the area. Sportsmen and women spent 1,345 hunter days in the field that season. The goal is to kill no more than 10 percent of the fall population. Federal law requires the plan address whether it would lead to “any adverse environmental effects which cannot be avoided.” The plan addresses the question, but without answering it. “The specific nature and extent of implementation-level impacts cannot be clearly defined due to unknowns regarding site-specific implementation and associated mitigation measures,” the plan says. In general, many activities would disrupt wildlife to some degree but the extend of those activities also would be curtailed, the plan says. 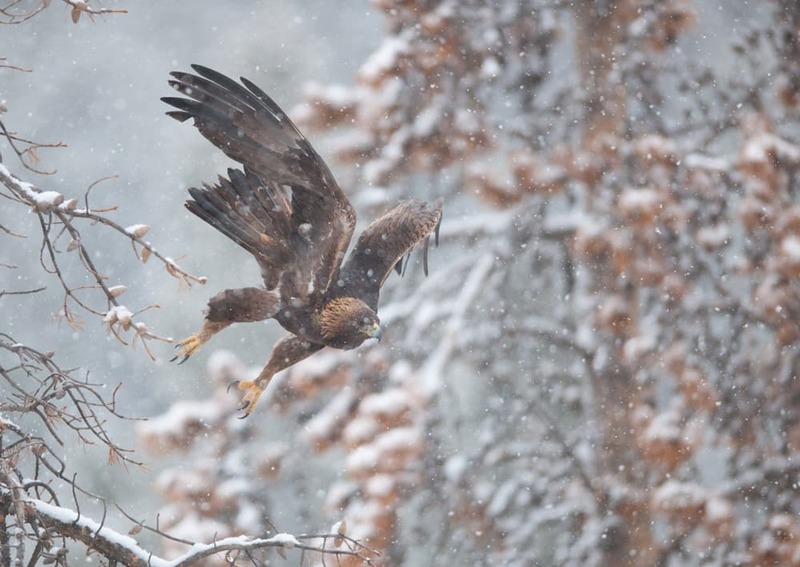 Mead has kept up a drumbeat boosting Wyoming’s efforts and telling feds the state’s work should preclude putting the grouse on a threatened or endangered species list. He co-sponsored a Western Governors’ Association resolution stating that and recently penned an op-ed piece with former Gov. 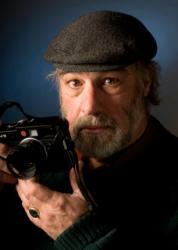 Dave Freudenthal, architect of the core-area strategy. The two paint the grouse as an existential threat and Wyoming as a national savior. They reject the possibility of the federal government protecting the grouse and then giving Wyoming special recognition to continue its management. “This is a long way around a horse that is already being ridden,” they wrote. Wyoming’s plan should be exported, Mead said at the signing. BLM officials said there would be some “cross-pollination,” from the Wyoming effort to other BLM plans in the works. The Lander plan will be in place for 20 years. It foreshadows what will happen on 30 percent of the public land in the Equality State, Outdoor Council Director Gary Wilmot said. “I’ve spent a lot of years in federal planning,” he said. ”A lot of them go on the shelf. I have witnessed first hand the impacts energy development has on sage grouse. A lek near Buffalo I became familiar with used to boast anywhere from 80 to 100 males. Around 2009 a compression station was built about a quarter mile from this lek. I went through several times in 2010 in hopes of catching one of Wyoming’s most impressive spectacles and there wasn’t a bird to be found. Though I want to see energy production and wildlife co-exist it has become increasingly apparent that that is wishful thinking. Our current management strategy is clearly not working and perhaps it is in the best interest of this species as well as those it shares habitat with that it be listed. Maybe then future generations will have grouse, mule deer, and antelope to enjoy rather than a waste land of abandoned wells. This Wyofile article features sage grouse impacts from oil and gas, but unfortunately it misses information that Dr. Clait Braun, sage grouse expert, wrote recently about how poorly core area sage grouse plans are working. Despite the fact that politicians, industry, agencies and ranchers promote the alleged success of Wyoming’s core area sage grouse plan, the reality of sage grouse demise is ignored. Dr. Braun wrote that “…the most recent analysis of the status of sage grouse in Wyoming by Tom Christiansen of the Wyoming Department of Game and Fish documents a decrease of about 60 percent in number of male sage grouse counted on leks since the advent of the initial core area approach. This steep decline occurred in all years at about the same rate from 2006 to 2013, which includes all years after development and implementation of the core area plan. 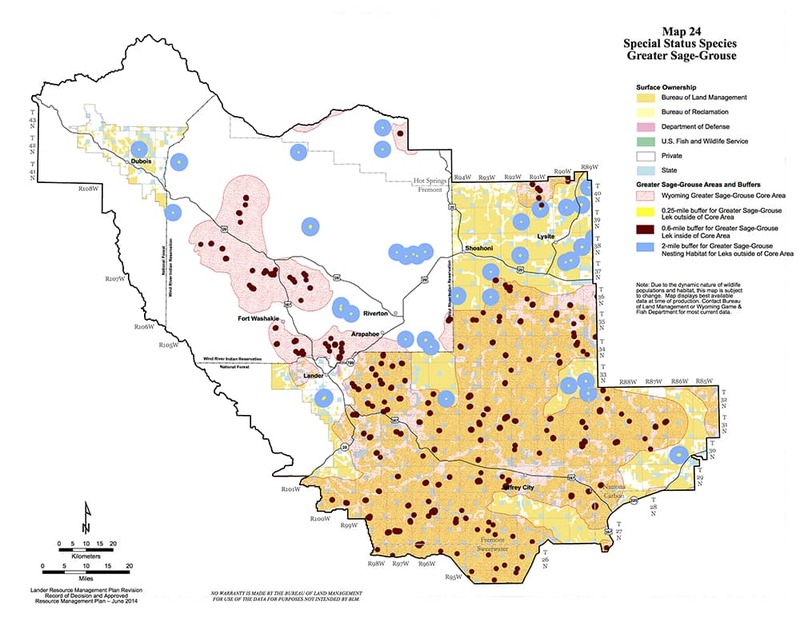 “Second, the core area plan is inconsistent with the best scientific information regarding the habitat needs for sage grouse, because the plan does not provide actual boundaries of the area to be protected from development, the state routinely “adjusts” the boundaries to benefit energy development, the plan permits excessive development within the core area, surface occupancy is not substantially altered to benefit sage grouse, and livestock grazing which can affect sage grouse nest success and use of areas continues to be permitted. Plus, core areas are not withdrawn from future mineral leasing. “The core area plan was and is based on politics. It should come as no surprise that industry and permittees are delighted with the core area plan as is the U.S. Bureau of Land Management and the U.S. Fish and Wildlife Service as it provides them something to hide behind. The actual data from 2006 to 2013 indicates that sage grouse have declined about 60 percent in spite of implementation of the core area approach. While we all know that politics runs Wyoming wildlife issues, it’s sad to see key scientific information omitted from articles such as this one. Without the actual science data, public entities and NGOs become advocates of compromise that may inevitably extirpate species like sage grouse as an unintended consequence of the plan. The .6 mile buffer for leks is based on politics and not on good science. Yes, lots of good things have been done for Grouse. But, there is still the mentality that we can do it all on the public lands and that continues to trump the decision making progress. There has not been a scientifically, sincere effort to protect grouse. Further, many grouse live outside the core area boundaries in areas that seem to be managed as sacrifice zones for them. While I continue to be part of the process, I sincerely believe the bird should be listed unless the buffer zones are increased and birds outside the core areas are better protected.